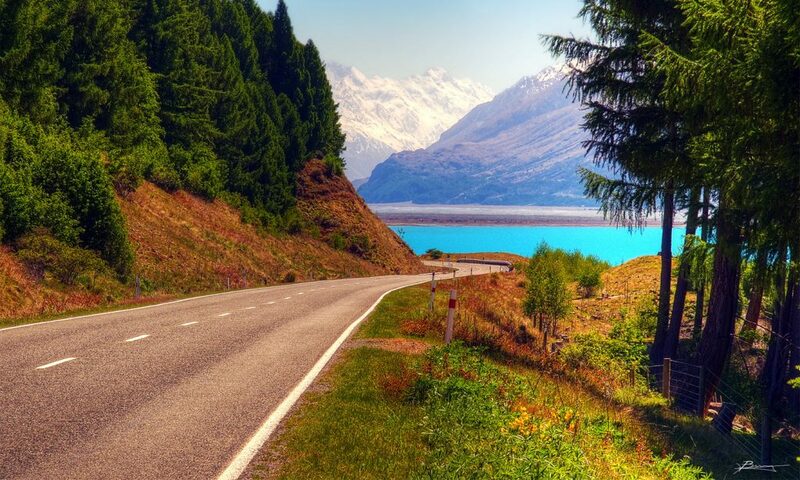 New Zealand is a spectacular country with endless travel opportunities for visitors. While there is certainly no wrong time to plan your trip to this fascinating destination, weather and tourism congestion make some seasons more ideal for vacationing than others. Even though the weather in New Zealand never fluctuates too drastically, you should consider which months will allow you to check the most items off your bucket list. Are you looking to avoid peak tourism seasons all together? The domestic holiday for New Zealand locals lies around December and January. During these summer months, beaches become more crowded and hotel prices tend to rise as well. Because New Zealand is located in the southern hemisphere, you will notice that their seasons are opposite of those in North America, Europe, Asia, and parts of Africa and South America. This means that while it’s your summer in North America or Europe, New Zealand is experiencing winter. To plan the perfect trip to New Zealand, you will want to first consider the different activities or regions of the country you will want to explore. If you are looking to add some snowy adventures to your trip, then you will want to choose a different time frame than someone who wants to lay out at the beach all week long. For those of you who want a good mix of activities, February and March are some of the best months to plan your trip to New Zealand. During these months, the weather is still enjoyable and beaches become less crowded. In February and March, you can expect the weather to reach an average of about 25°C or 77°F on the Bay of Islands. These are some of the country’s sunniest destinations. During summer months, daylight can last all the way until 9:30 pm! If like most travelers, you have a lot of activities on your list, extra daylight can help you make it all possible. Are you ready to start booking your dream vacation? Speak with one of our professional staff members online today to begin booking your New Zealand vacation. In New Zealand, fall covers March, April, and May. You will find fall temperatures to be relatively warm during these months, typically reaching high 60s (about 20°C). One advantage to booking your travels during this time frame is that tourism begins to slow down and you should find accommodations to be more available and affordable. During June, July, and August, colder weather reaches much of the country. If you are looking to add some snowy activities to your trip, then this is an ideal time frame to your visits. Mountain ranges on both islands become snow-covered during the winter months – making for excellent skiing conditions! The average temperature during the winter months tends to be in the high 50s (about 14°C). If you are searching for areas of New Zealand with the most snowfall, you will want to direct your travels to inland Canterbury and Otago. New Zealand’s spring occurs during September, October, and November. During this time frame, the winter snow begins to melt and tress begin to blossom. If you're looking to add a white water rafting adventure to your itinerary, this is the time to go! The melting snow makes for powerful river rapids during this time of year. You can plan on the temperature outside to range in the low to mid-60s (about 17°C). December, January, and February mark summer time for New Zealand natives and you can expect beaches to be more crowded during this season. If you are looking for a trip with higher temperatures and sunshine, we suggest booking for this time frame far in advance. Summer is an excellent time for a variety of outdoor activities, considering the weather averages in the mid-70s (about 23°C).